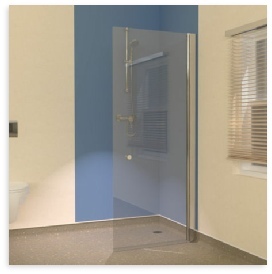 An exclusive range of easy access hinged glass screens which are designed for bathrooms having wet room vinyl flooring with a cove skirting. 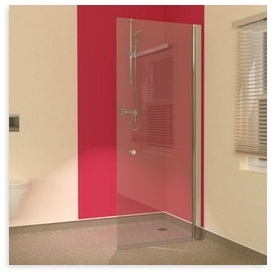 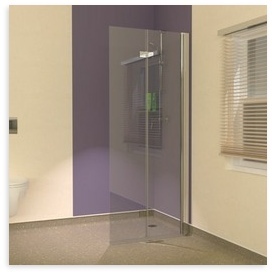 These functional hinged glass panels consist of high quality, toughened 6mm clear glass and are designed to swing inwards and outwards in a 180 degree motion. The ability to fold the glass screen back against the wall can save space in your wet room and visually open up your bathroom.